The rampant use of flame retardants (FRs) in couch foam have been curbed by the revision of TB117-2013 which no longer requires their use in conventional coach foam. Although this change is in the positive direction of better protecting our health, the bioaccumalative and dangerous nature of FRs still exist. While we manage old flame retardants and understand the implications of new replacement chemicals, we presently can explore safer couch foam options. Please allow me to introduce you to, put your hands together to welcome... natural rubber latex foam! Non-toxic and made in America. Used in couch and floor cushions. No pressure points, just like a cloud. Actually, this isn’t the first time we’ve seen latex in the world, I’ve seen it in pre-restored antique cars and furniture. Perhaps makers at that time were thinking: Green Upholstery, safe to breathe and considerate to the planet [insert wink and thumbs up]! Or maybe, it was the likely choice since plastic wasn’t mainstream til the 1950s. CLICK THROUGH: ‘Flame Retardants Are Still a Part of Everyday Life’ explains how PBDEs can travel and effect humans, animals, and water on a global scale. 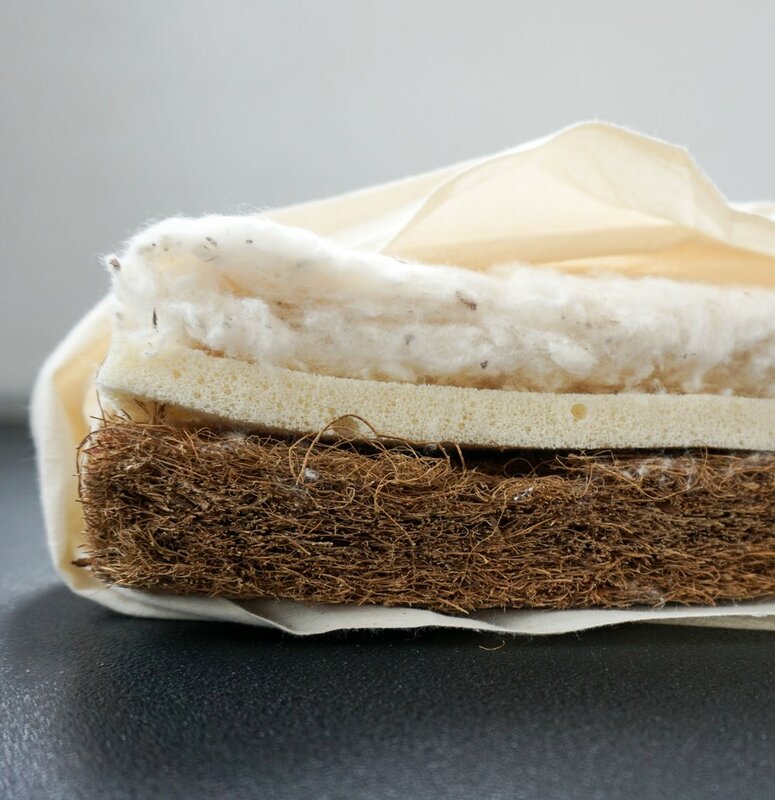 Let’s bring natural latex back to the forefront, regain the benefits of a forgotton and uncommon material that will make all the difference to our future. CLICK THROUGH: Plant Powered Upholstery: Our Fave Raw Materials’ A closer look of what our faves do for us and the world of green upholstery. The following list compares the personalities of natural latex foam and conventional polyurethane foam. 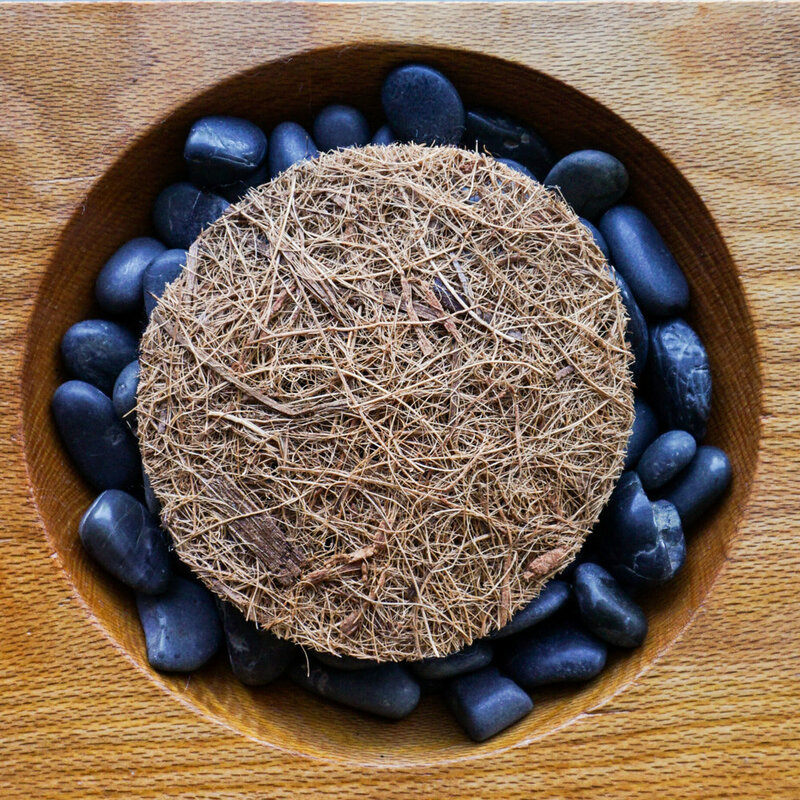 Whether foam is synthetic or natural, all qualities will quickly degrade in direct sun. Both qualities are offered in a range of densities, and have the same lifespans. The major difference is that when polyurethane foam gets old and crumbles, flame retardant foam becomes an airborne fuming agent of bioaccumalative toxins and microplastics. Okaaaaayyyy? Nuff said! The ultimate limitation is the cost and accessibility. There are a handful of online resources that sell custom cut latex, but most are particularly expensive or only offered in 6” thickness (standard mattress thickness). ACircleHome.com offers any desired thickness, width, and length. Some upholstery shops offer natural rubber latex since it is used mostly in custom furniture. However, if you went through an interior designer to make your custom furniture, expect her mark-up along with the upholster’s own profit margin, to calculate your final cost. If you really want natural rubber latex and cannot afford or find a good source, then why not just buy a mattress topper from Amazon.com and cut it with an electric knife? I know... I know... this approach is maybe too DIY for some, may not achieve the prettiest or easiest straight cut, but at least you’re doing what you can to minimize exposure to FRs. 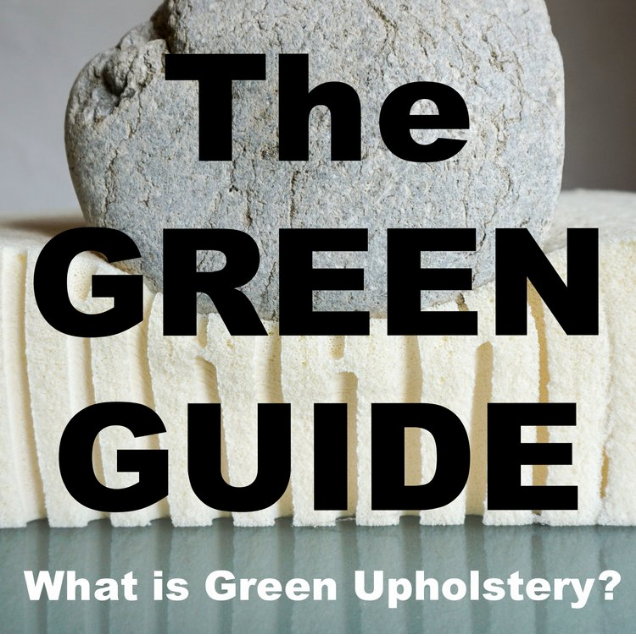 Natural rubber latex is one of many plant based materials that make green upholstery the safer choice in furniture. And now that we know there are options beyond conventional foam, we can all start to think about how we really want to live. I Read Labels For You’s TB 117-2013: What Does It Mean For You?